The goal of preventative dentistry is to highlight the importance of oral hygiene. Daily use of oral hygiene products approved by the American Dental Association (ADA) is the best way to prevent teeth decay and disease. 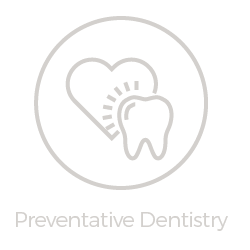 Preventative dental procedures include regular teeth cleanings, x-rays, oral cancer screenings, and more. Learn about the benefits of preventative dentistry procedures. 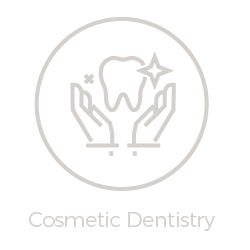 Cosmetic dentistry might not affect the overall health of your teeth, but many affordable cosmetic dentistry options can dramatically improve the appearance of your smile. Prices do vary for procedures like veneers, teeth whitening, gap closures, etc., but some orthodontic services (i.e. braces) could be covered in your insurance plan. Find out if cosmetic dentistry is right for you. Restorative dental services will repair structural issues with your teeth, such as breaks or cracks, in order to enhance the function of your pearly whites. Crowns, bridges, and fillings are some of the most commonly used dental restoration materials, which are usually covered under basic dental insurance plans. 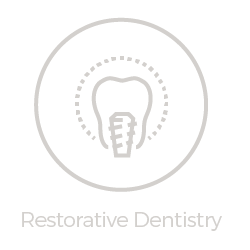 Discover which restorative dentistry procedures are available to you. Over time, poor dental hygiene can lead to tooth erosion, tooth loss, and several types of oral diseases, including gum periodontal disease. 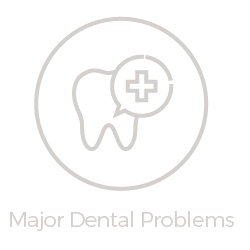 Fortunately, your local dentist can identify any causes of dental problems you may be experiencing. Read about the different types of teeth damage to decide if you should schedule a dentist appointment.